September brings back more than tens of thousands of students to Boston. Most of Boston’s local theater companies return with new productions and this year local theater companies have an impressive line up. Probably the best known local theater The American Repertory Theater (A.R.T.) continues to raise the bar with engaging shows and often times big name actors. September 9th is the opening for a new play from the ART called, WARHOLCAPOTE. The play is based on the well documented friendship between Andy Warhol and Truman Capote. 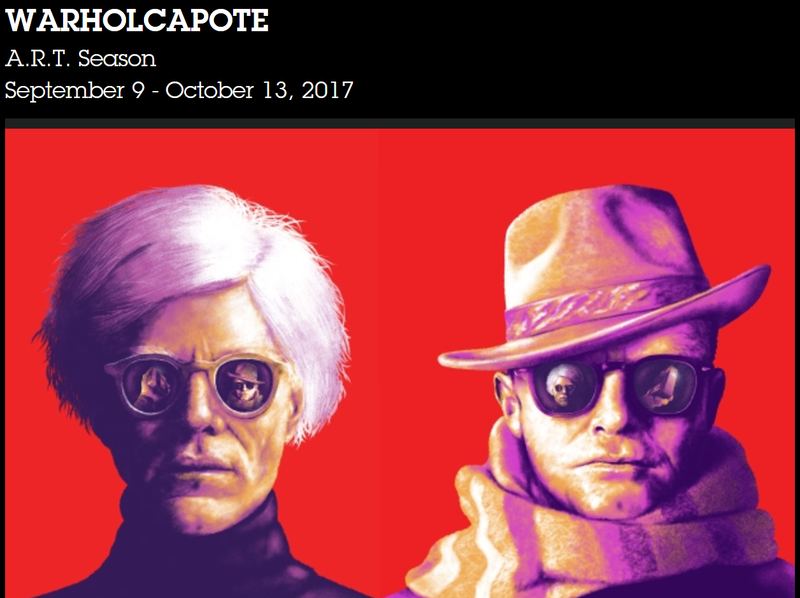 Using the hundreds of hours in conversation (some of it published), the ART has created the play, WARHOLCAPOTE. The Lyric Stage Co. of Boston present the musical Gypsy: A Musical Fable. Performances start tonight, Friday, September 1st and run through October 8th at their theater in the Back Bay. Tickets Available Here. Over in Cambridge Central Square Theater will open their new season with Constellations. A mesmerizing romantic journey that looks at the infinite possibilities directed by Scott Edmiston, six-time Elliot Norton Award-winner for Outstanding Director. The show runs from Thursday, September 7th through October 8th. Tickets Available Here. The SpeakEasy Stage Company opens in September with Men On Boats. Opening September 8th the show tells the story of an actual 1869 expedition led by John Wesley Powell to chart the Colorado River. Comical but never camp, pointed but never political, this rousing historical saga is a provocative meditation on gender and historical memory that offers a new lens through which to view our shared past. Tickets Available Here. Next week on Friday, September 8th The Huntington Theatre opens their season with the musical, Merrily We Roll Along, with music from Stephen Sondheim. Be sure to get your tickets before the musical closes on Sunday, October 15th. Tickets Available Here. Zeitgeist Stage Company presents, Faceless, a drama about 18 year-old Susie Glenn who is on trial for conspiring to commit acts of terrorism, and recent Harvard Law grad and practicing Muslim, Claire Fathi, who has been brought on to prosecute her. The play opens on Friday, September 15 and runs through October 7th. Tickets Available Here. The theater companies shared above are just a sampling of locally produced shows underway or soon to open. Check out one or more of these productions and support the local arts scene. You’ll be impressed by the caliber of talent, the variety of shows and how much more affordable these tickets are than the national traveling productions playing in the Theater District.